Rotherham-based Xeros is using the global stage to launch its new technologies that will transform home laundry forever. The AIM-listed firm has joined the world's leading tech manufacturers in Las Vegas to showcase their latest products and innovations at the Consumer Electronics Show (CES) 2018. With R&D being carried out in Rotherham, Xeros experts have continued to develop its polymer technology. For the £94 billion global domestic laundry market, the beads gently remove unwanted molecules and contaminants from materials allowing washing machines to work more efficiently while using just a fraction of the water traditionally needed. Now renamed as "XOrbs," the beads deliver a range of features including cold water washing, powerful stain removal, easier ironing and garment protection that keep clothes looking newer for longer. XOrbs last for many hundreds of washes before needing to be replaced and recycled. To get the XOrbs to save water and money in homes around the world, a prototype has been designed to be incorporated into the product lines of branded manufacturers with very little alteration to the production process. It means that, for the first time, manufacturers will be able to offer consumers the benefits of washing with XOrbs that have only been available to commercial laundry operations. This "XDrum" In-Drum Technology has also been revealed at CES. 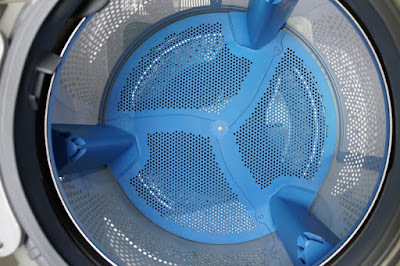 The XDrum is an elegant and inexpensive system which introduces the XOrbs during the wash as the drum rotates. 50% less water than conventional machines is used and the XOrbs are collected after the wash with a simple change of direction. Clean clothes are then removed from the machine as normal. 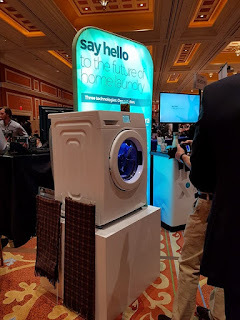 A third unveiling at CES is Xeros' XFiltra Filtration Technology which aims to address the amount of tiny plastic microfibres which are removed during the washing of certain garments and pass through wastewater treatment facilities. Mark Nichols, CEO at Xeros, said: "Our core purpose at Xeros is to give washing machine manufacturers and home laundry customers a washing solution that delivers unparalleled cleaning results and garment care, at the lowest cost, and with the greatest sustainability for our planet. "We are delighted to be unveiling at CES our completely new, simple, and transformational technologies that deliver unprecedented results to the world’s consumers." Xeros expects discussions to follow with the company's medium-term target for 1.5% of annual global domestic washing machines sold to incorporate the polymer technology. Globally 119 million washing machines are sold annually with a retail market value of $70 billion per annum. Xeros is targeting an average royalty of 4% of the retail price of a machine. Xeros recently announced plans to raise £25m through the placing of new shares as it aims to accelerate commercialisation. In commercial laundry, the firm is moving away from manufacturing its own machines and is working with two leading manufacturers on integrating Xeros technology in their machines instead. Other billion dollar target markets for the polymers include tanning, the fading and texturing of denim and the dyeing of cotton garments.